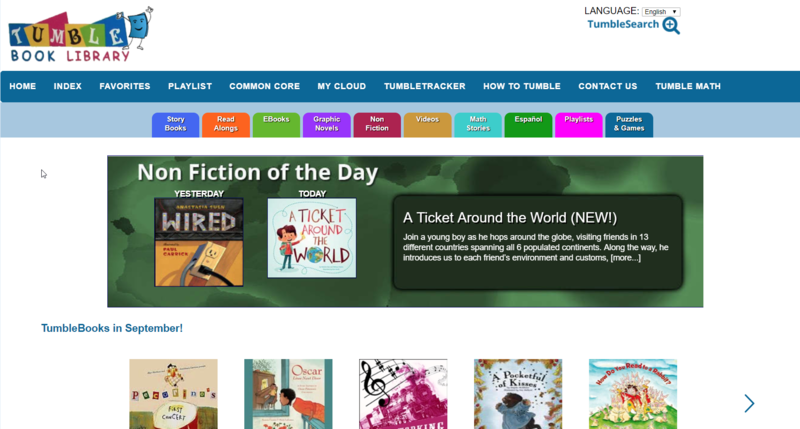 TumbleBook Library is an online collection of e-books for children. There are over 250 animated, talking picture books! The site also features Spanish and French books, read-along chapter books, non-fiction books, quizzes, and exciting games and puzzles!